Picturesque lake front home, beautifully landscaped setting. Panoramic views of Clear Lake and the park surroundings. Architect designed in the Country French style and features in the Better Homes and Gardens magazine when built in 1949. In 2006 total remodel and renovation: custom interior, Hickory flooring, oak trim, Alder cabinets, stainless steel Jennaire appliances, Ceasarstone counters, marble top island, Kohler fixtures. Master suite (ensuite bath and walk-in) with breathtaking views of the lake. 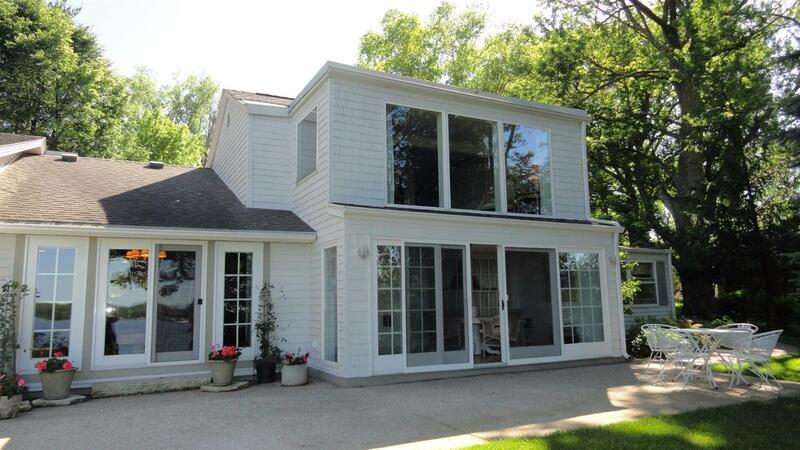 Gracious open living spatials along with sunroom and patios for entertaining. 24x32 garage 18x10 workshop 75' ft shoreline x 230' fenced and landscaped yard. Electric tram to lake, dock included.